Allan Schrader is the Founder and President of The TIMAO Group and its market-focused businesses, Lightspeed Aviation and Lightspeed Industrial. His early technology and management experience was gained in the 1980’s at Tektronix within its computer graphics businesses. Schrader quickly established himself as a respected and skilled engineer, project leader and manager. He ventured into the aviation field in 1988 to help launch Flightcom/Sonetics, a start-up that focused on pilot communication products. Since then, Schrader has held various key positions at Lightspeed including VP of Operations, President and CEO. His personal desire to give back and to engage pilots in the outstanding charitable work of multiple aviation organizations led to the formation of the Lightspeed Foundation. Schrader holds a BS degree in Engineering from Cornell University and an MBA from the University of Virginia Colgate Darden School. Allan has served on several non-profit boards, coached youth sports, and has been actively involved in leadership roles at his church. Former Navy Fighter Pilot - P.O.W. Captain J. Charles Plumb, USNR, (Ret.) graduated from the Naval Academy at Annapolis and flew the F-4 Phantom jet on 74 successful combat missions over North Vietnam. On his 75th mission, with only five days before he was to return home, Plumb was shot down, captured, tortured, and imprisoned. He spent the next 2,103 days as a Prisoner Of War in communist prison camps. His military honors include two Purple Hearts, the Legion of Merit, the Silver Star, the Bronze Star and the P.O.W. Medal. Today, audiences in nearly every industry have been spellbound as Captain Plumb draws parallels between his P.O.W. experience and the challenges of everyday life. He has shared his message to an even wider public through appearances on Good Morning America, Nightline, Larry King Live, and The NewsHour with Jim Lehrer. Retired from military service, Charlie is a Flight Leader in the EAA “Young Eagles” program, has been a CAF (Commemorative Air Force) Colonel, has spoken to and taught the aviation merit badge in the Boy Scouts of America, is a supporter of the Civil Air Patrol, and member of AOPA since 1973. 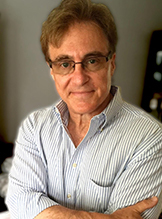 Bill Dolan has over 30 years of broadcast television, media and marketing experience. 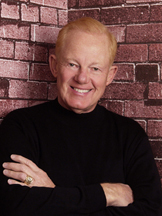 As an Emmy-nominated TV Producer and Director, Bill has directed international broadcasts, produced live events for up to 250,000 people and has acted as creative director for Fortune 500 companies to small organizations throughout the U.S. As author and speaker to audiences around the country, Bill is recognized as an authority in foundational principles of compelling marketing communications, strategic messaging and brand integrity. 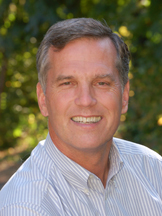 Bill has served as advisor to regional small business councils and has been a guest lecturer for the National Association of Broadcasters, the National Religious Broadcasters, the Portland Business Alliance and the American Marketing Association. Nearly half of Bill’s clients are non-profits including the American Red Cross, Medical Teams International and the Boy Scouts of America. Bill enjoys giving back while serving in various capacities with organizations including The Children’s Center, Good Samaritan Ministries and the Luis Palau Association. Bill’s passion for making a difference has led to pro bono consulting and media services to a variety of local and global non-profits. Wayne Handley is a former naval aviator, ag pilot, aerobatic champion, and preeminent air show performer. Since beginning his aviation career, he has amassed over 29,000 hours of flight time with little of it spent straight, level, and upright. Handley has received a number of aviation awards and has earned multiple titles capped by his induction into the ICAS Foundation Air Show Hall of Fame. Handley continues to coach aerobatic competitors, air show performers, ag pilots, and military pilots. 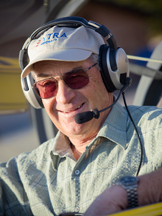 Amazed at how much has been given back to him, he has been President of the California Agricultural Aircraft Association and currently serves on a number of committees including the Ninety-Nines, helping select recipients for scholarships. He also remains quite active on the speaking circuit, delighting audiences by sharing his vast aviation knowledge, his wonderful aviation stories, and his dry sense of humor. Wayne is very blessed with tokens of appreciation for his work and giving nature. Before retiring in 2008, E. Michael Thoben served as Chief Executive Officer and Chairman of the Board of Directors of Interlink Electronics for 18 years. Thoben took Interlink Electronics public in 1993 and over the next decade opened sales and manufacturing offices in Europe and Asia selling technology solutions to world class companies such as BMW, IBM, Microsoft, Toshiba, NEC, Mitsubishi, Sony, HP, Dell Nokia and Motorola. Prior to Interlink, Thoben held numerous domestic and international senior management positions at Polaroid Corporation. Thoben holds a BS degree from St. Xavier University and expanded his education through numerous graduate management courses at the Harvard Business School and the Wharton School of Business. A former long-standing member of the Board of Directors of the American Electronics Association, Thoben currently serves on various company boards including Lightspeed Aviation. 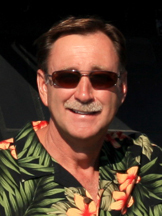 Michael is an accomplished and passionate aviator in a wide range of aircraft from antique biplanes to Learjets.